I have a confession to make: I don’t usually like personalised children’s books. Perhaps that’s because when I was growing up, they just weren’t that great. Did you ever get one? They’d be impersonal stories, semi-well-written but vague enough to fit anyone, and your name would be inserted once or twice because MAGIC. They were like those bulk send emails that try to sound personal by simply adding your name in random spots and end up sounding colder as a result. I just never bought them. Literally or metaphorically. But then Lostmy.name hit my radar. They offered to send some personalised books for the kiddlywinks, and I was sceptical. I checked out the website, trying to read as much of the book as I could, and felt my hopes start to rise. They looked good. Not just good for a personalised book, but actually good. So I said yes. And here’s what we thought. and got a BIG surprise! This book is adorable. Truly adorable. And rather than feeling like a cut and paste ‘personalised’ book, it feels like a book. A book that just happens to feature and spell out your child’s name. The story is about a little girl (or boy, if you choose) who has lost her name. She goes searching for it, and meets some animals and helpers along the way. These helpers hand over letters to help her on her quest – in my daughter’s book, it’s an aardvark with an A, then a snail with an S – until she heads home and realises she has her name again. My daughter has quite a long name, so I did wonder if we received a longer book than we might have otherwise. I would have tested the theory by also ordering The Little Boy Who Lost His Name, but my son’s name is the same length! It’s a great book, and I would be saying that regardless of personalisation. The rhythm is spot on, the rhymes rhyme, and the little girl’s journey to find her name is super fun to follow. It’s also a smooth read, one that seems simple and doesn’t feel too ‘done’. This belies the monstrous amount of work that has taken place behind the book production scenes, ensuring there are enough rhymes for thousands of combinations of letters. Hat tip to the Lostmy.name team! and guess what? No-one knew! 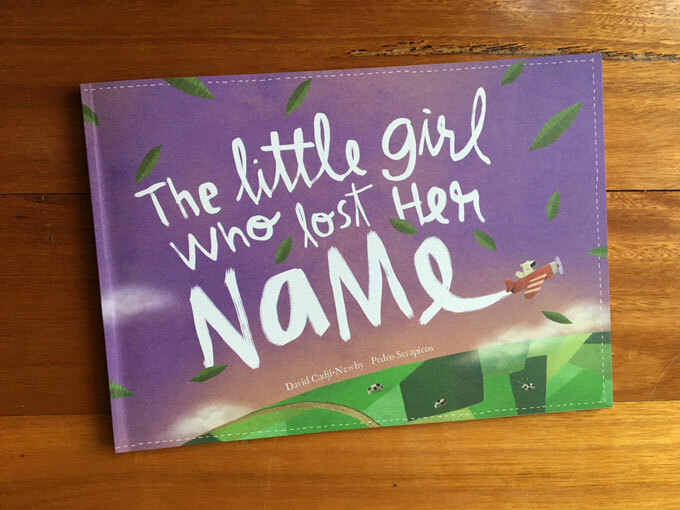 I decided to order the new addition to the Lostmy.name library for my son for two reasons: he has recently turned three, and wouldn’t necessarily recognise that his name was being spelled out in the first book; and, his name and my daughter’s share a lot of the same letters. If I had ordered The Little Boy Who Lost His Name, they would have had very similar sounding books. So we went with The Incredible Intergalactic Journey Home, and he loves it. There is less personalisation in this book. Which is not to say it’s less personal – my son is the main character, and his name appears throughout – but that the story feels less geared towards him. It’s a general story into which he has been inserted, rather than one shaped by his name or interests. His address, however, plays an important part in the story. The title gives the clue – this spaceship doesn’t just head to a generalised spot. It heads right to our house, with Australia first coming into view, then Melbourne, and then a Google image of our street! Right now, this doesn’t mean much to my little man. 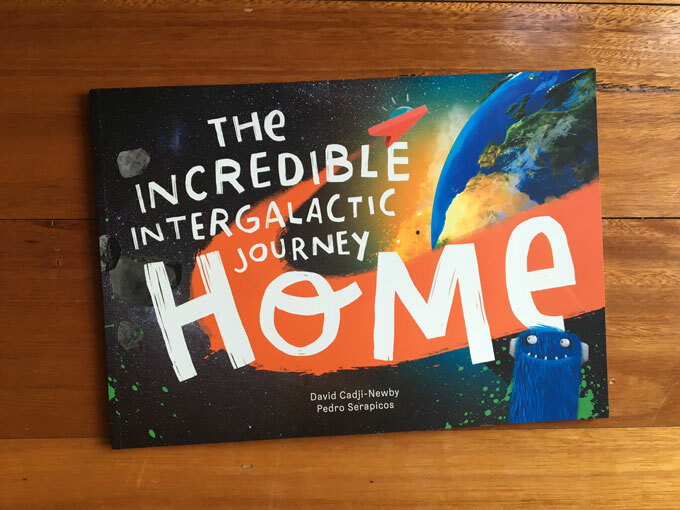 But my daughter was amazed, and when he’s older, I know my son will appreciate the appearance of his house in his very own space-themed book. This book is a slightly clunkier read, and feels a few edits from being brilliant. But it is still a winner: just check out this grin! My children adore these books. Recommended for children ages three and up. Visit Lostmy.name for more details and to create your own personalised books. Have you read either of these books? 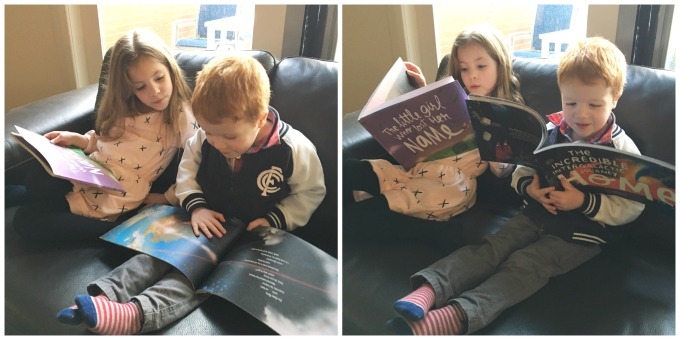 Are you a fan of personalisation in books? I’ve always toyed with the idea of these books, might do a three-child haul one of these days! Ooh, good idea! Say, in November? I don’t really love the personalisation of stories and my kids have never loved the ones given to them… might have to try these ones though! If you do, let me know what you think! Would love to hear. Nice to read your thoughts. I liked them so much better than other personalised books for the same reason as yours. We should compare book length because Ava’s got such a short name. They are far, far better than any other personalised books I’ve come across. Easily. No kids and the personalisation thing wasn’t in when I was a kid. I think it’s a good idea though – as long as it’s a quality book and these look to be. I think sometimes the books (stories and images) themselves are afterthoughts and it’s more of a marketing ploy! 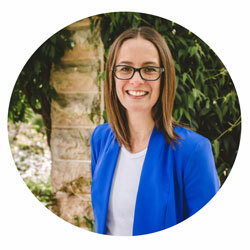 I hear you – quick, what’s the best way we can get people to buy our product? Stick their kids in it! AND then they can’t pass them on and they have to buy new ones for all the kids! But these are so much better. They must have come up with three different options for each letter so that if your name has a few of the same, your story still flows.